Museum of Contemporary Art “Kiasma” is the most visited museum in Finland. “Kiasma” Museum is located in the Helsinki city center, on the Mannerheimintie street, near the Marshal Mannerheim monument. 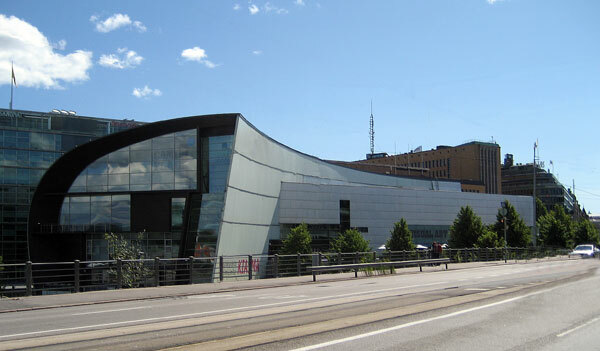 “Kiasma” museum is located within walking distance from the Helsinki Central railway station. The current museum building was opened in 1998. The building project author is architect Steven Holl. Address: “Mannerheiminaukio” square 2, Helsinki, Finland. Photo was taken during a tourist trip to Finland in 2012. View attractions, hotels and shops location on the tourist map of Helsinki.